Hey everyone! Today, I’d like to take a break from my normal routine to do a review for the new lipstick brand that has totally revolutionized the way I thought about using lipstick in general! I’m a pretty basic, low maintenance person when it comes to using makeup. I don’t use a lot, but I have absolutely loved this product! I am reviewing this product for Shelby Hasten. You can join her VIP Facebook group here. What it is: According to the website Lipsense is the premier product of SeneGence and is unlike any conventional lipstick, stain or color. As the original long-lasting lip color, it is waterproof, does not kiss-off, smear-off, rub-off or budge-off! You can put it on in the morning, and forget about it. It doesn’t leave a residue on your coffee cup and even after eating, you’ll still have beautiful color! 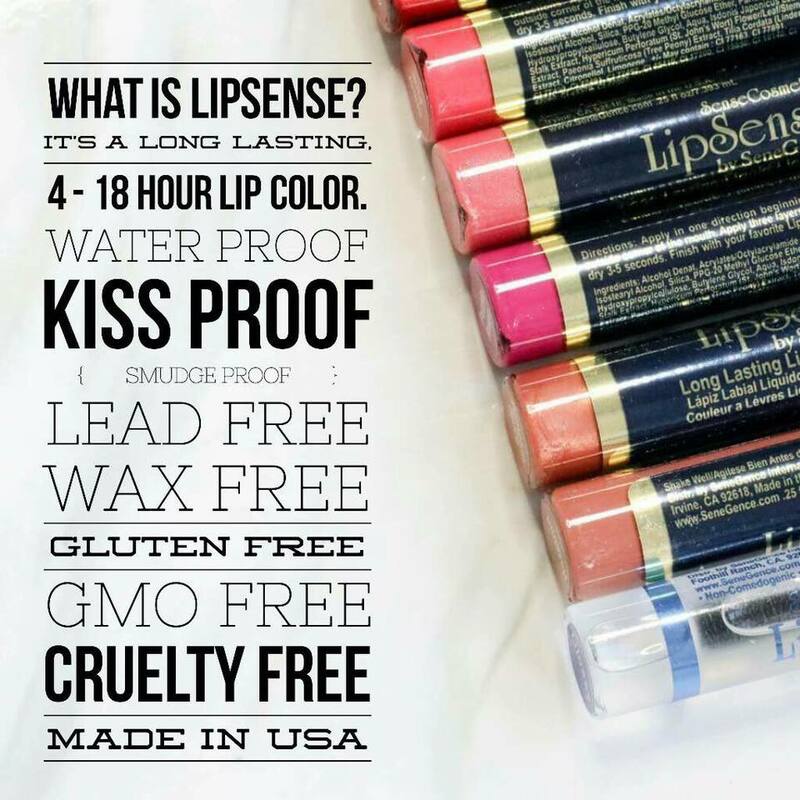 What are some of the great things about Lipsense? : As a busy woman, I love the fact that I don’t have to keep reapplying it throughout the day. I don’t have to worry about meeting with a client, and thinking “oh crap, I didn’t check to see if my lipstick looks okay!” I know, that as long as I apply it correctly, I’ll look fabulous! I also love the variety that Lipsense provides. The recommendation is to put three layers of lipsense on every morning. But it doesn’t have to be the same color for all three layers. Using two or even three different colors will create a whole new color, just for you! Lipsense is not tested on animals! In the ever growing environmental conscientious generation, this is a great marketing benefit, but above that, it’s a great business model! What are some not so great things about Lipsense? : It is a little expensive upfront. When you start with lipsense, you buy a color, the gloss and the Oops! Remover, which will help remove it at night, as well as if you get it somewhere you don’t want! Those three things are $55 for the set and additional colors are $25 each. That may seem like a lot, and yes it is a big price tag up front. But the great thing is the colors last a long time! I bought my first color in November, and I wear it about three days a week and there’s still plenty of color left! I just recently replaced my first tube of gloss. When you first start using lipsense, it can cause a little burning sensation when you first put it on. This is due to the exfoliation process and getting your lips use to not having the waxy build up from traditional lipstick. It usually goes away after a minute or two. While this process varies in time for every person, after a couple of weeks, I didn’t notice it at all! Lipsense has 36 colors, but the variance is virtually unlimited! You can mix and match colors to create your own signature look. That means you can buy two or three colors, but really have so many more, It’s like having multiple colors all in one! My experience with Lipsense has been amazing! I love the fact that I don’t have to worry about my color throughout my busy day, and I don’t have to bring my lip color with me and hope it doesn’t melt in the hot summer weather. I highly recommend adding Lipsense to your makeup routine! Life is too short to wear bad lipstick! Check out Shelby’s tutorial on how to apply lipsense here!